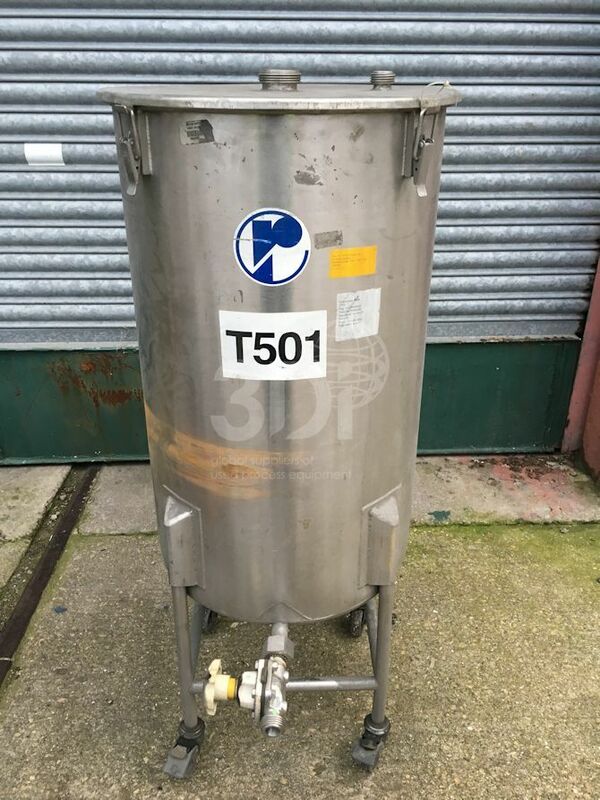 Used 150 litre Mobile Storage Tank, manufactured by Reo Stainless. Material of construction: 316 stainless steel. Orientation: vertical, cylindrical, flat top with clamped lid, flat bottom, support with legs and castors. 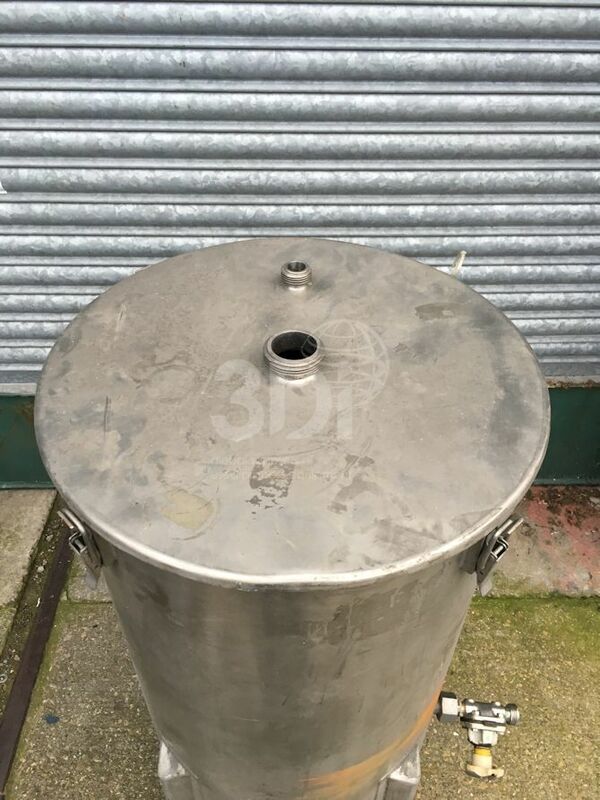 Dimensions: 480mm diameter, 800mm on the straight. 1200mm overall height, 500mm width, 600mm width. Connections: 25mm bottom outlet, 25mm top inlet, 50mm top inlet. 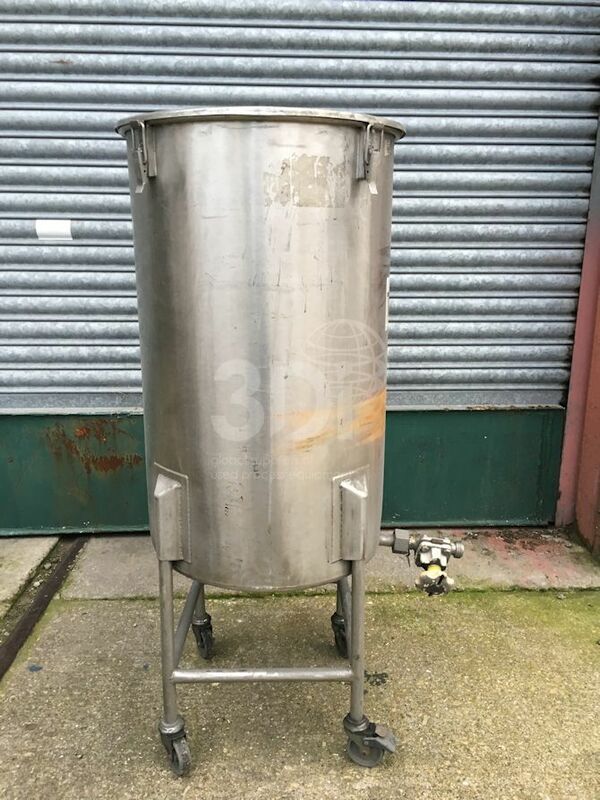 Fitted with a bottom mounted mixer. Previously used on pharmaceuticals.